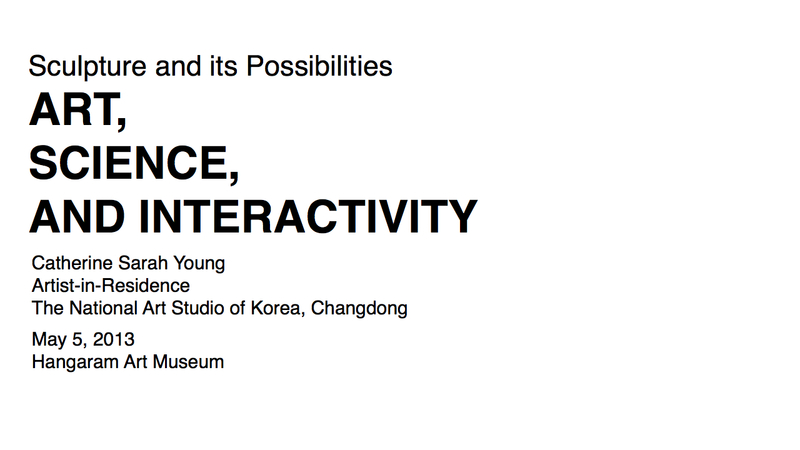 Last May 5th, I gave an artist talk entitled Art, Science, and Interactivity at the Hangaram Art Museum in Seoul Arts Center for the International Sculpture Festa for a small audience. I and my friends from the National Art Studio were in the category “What Can Sculpture Be?” As an interactive artist, while some of my work can be classified as sculpture, I don’t really consider myself one in the most traditional sense of the word. Unlike most sculpture where Do Not Touch is written beside the piece, my work usually comes with a set of “experience instructions”—such as “Please Smell This Wall,” “Please wear this vest and hug someone,” etc. etc. Annyunghaseyo. My name is Catherine, and I’m an interactive artist from the Philippines. I come to you from three fields of study, and from three cities around the world. The first is science, where I studied molecular biology and biotechnology in Manila. The second is Barcelona, where I studied contemporary art and poetry. 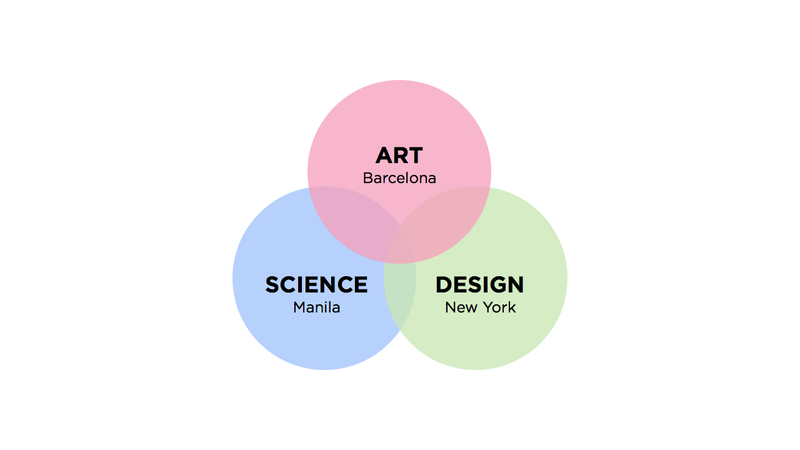 The third is New York City, where I lived for five years and did my MFA in Interaction Design at the School of Visual Arts. 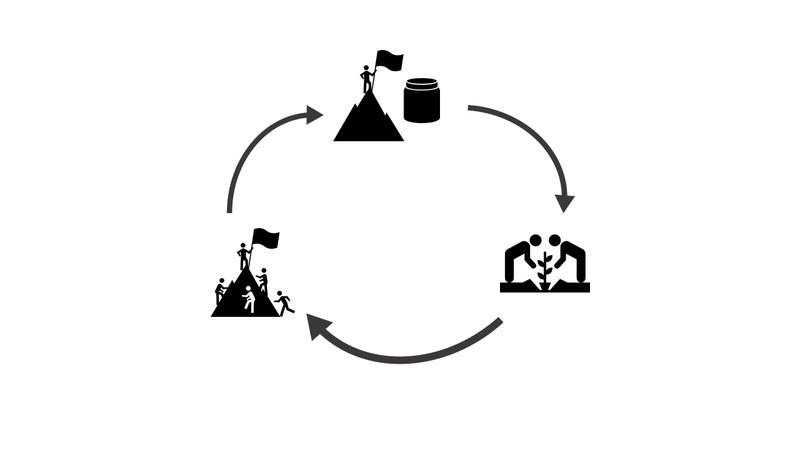 Coming from many different worlds, I often asked myself what was the core of my interests? Finally, I realized that it was human perception. Our senses, or how we perceive the world. 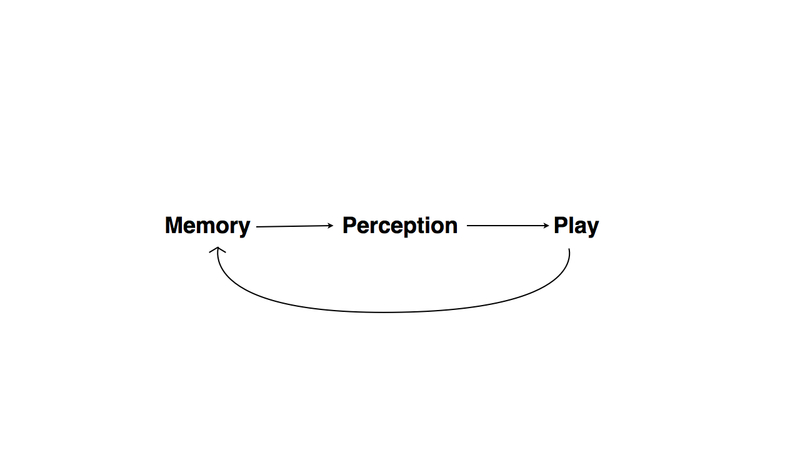 More specifically, I investigate perception and how it can bridge memory and play. The more aware we are of the world, the more we can explore and go beyond what we know, and the more we go beyond, the more we add to our storehouse of memories. 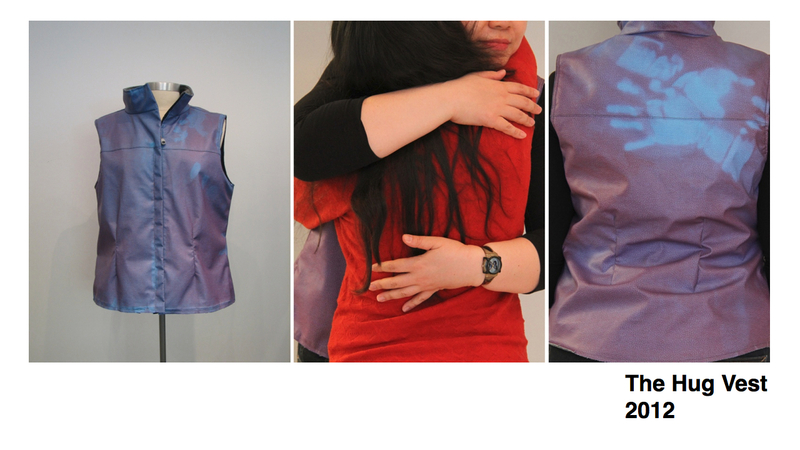 This is a vest made out of thermochromic fabric, so it changes color, from purple to blue when you touch it. For the past two years, I have been wearing this, and other versions of this vest, and hugging people with it. In these exhibitions, I invite people to hug me, and invite them to wear it and hug other people as well. Being able to tangibilize the hug through a color change seems to make hugging more fun, and gets people to touch more. 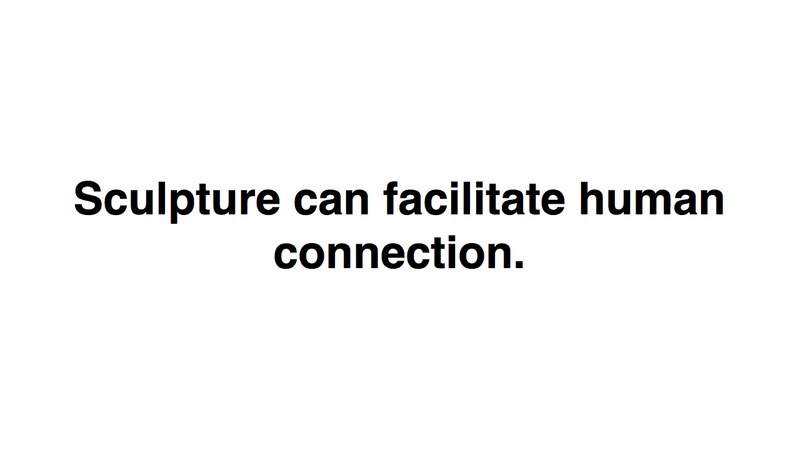 What this project has taught me is that sculpture can facilitate human connection. 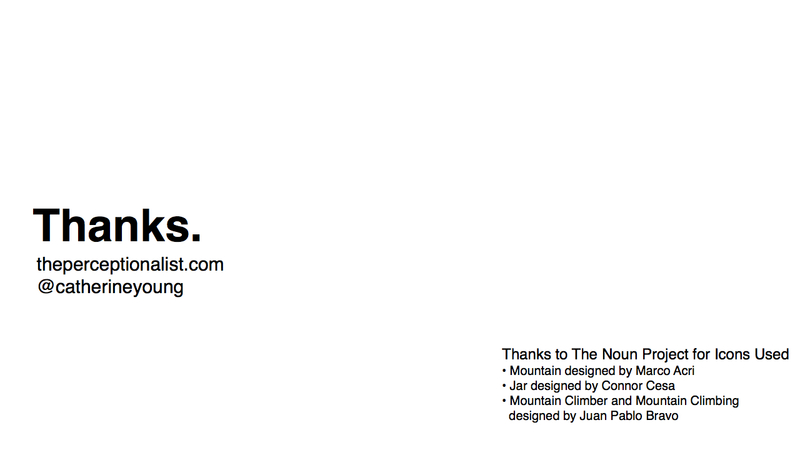 For the next project, I want to first show you this image. Who can tell me what was going on here? 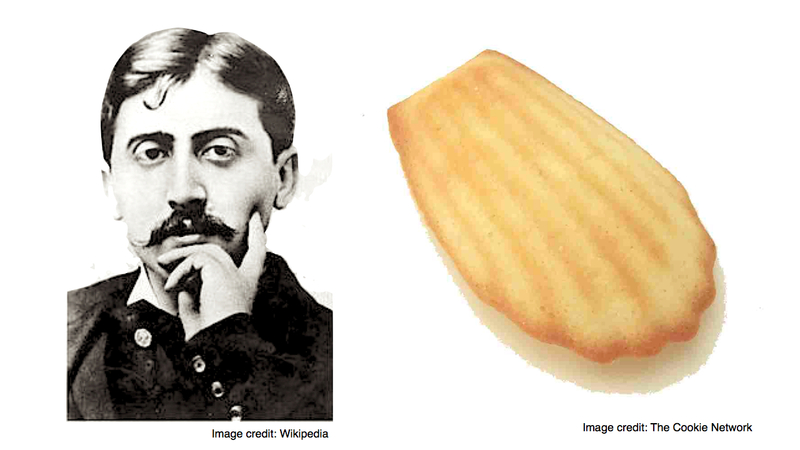 Smell and memory are closely interlinked. In neuroscience, we learn that smell is processed in the region of the brain where memory is also processed. This explains why we can unearth deep-seated memories from decades back. I’ve been doing experiments on olfaction, where I ask people to smell these pieces of paper with microencapsulated smells, so they’re very concentrated. Afterwards, I ask them what memory came to mind. The results were very surprising, because many of them recalled memories from a long time ago, as far back as twenty years. 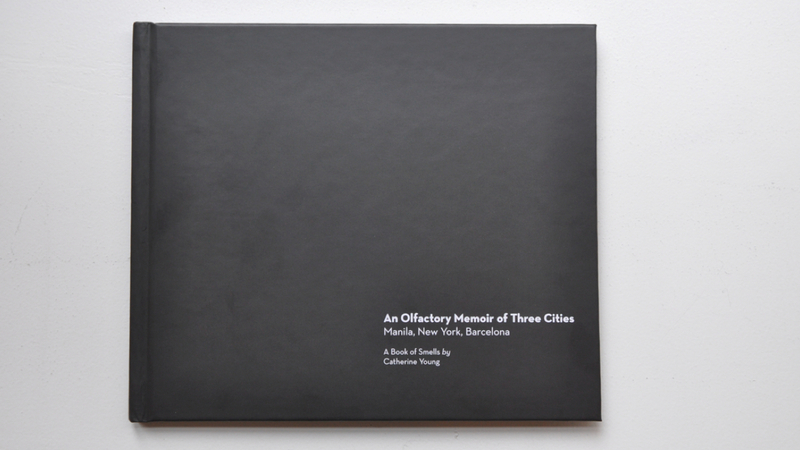 I was inspired by the results, so I created an Olfactory Memoir of Three Cities I’ve lived in – Manila, New York and Barcelona. It contains printed smells with my memory of the place. 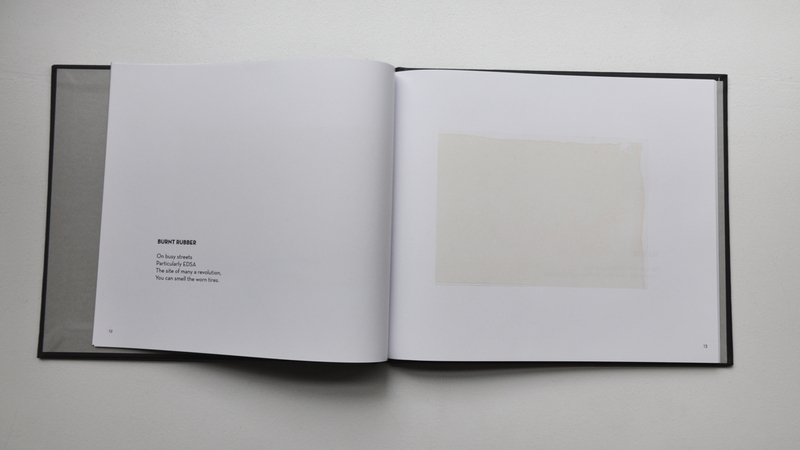 Of course, if you smelled this book, you have your own memories of the smell, and this creates a conversation among those perceiving art. So from this project, I learned that sculpture can go beyond sight, which is the most overused and oversaturated sense, at least for us who are not visually impaired. With smell, sculpture can be remembered longer, and the memory of the art persists. 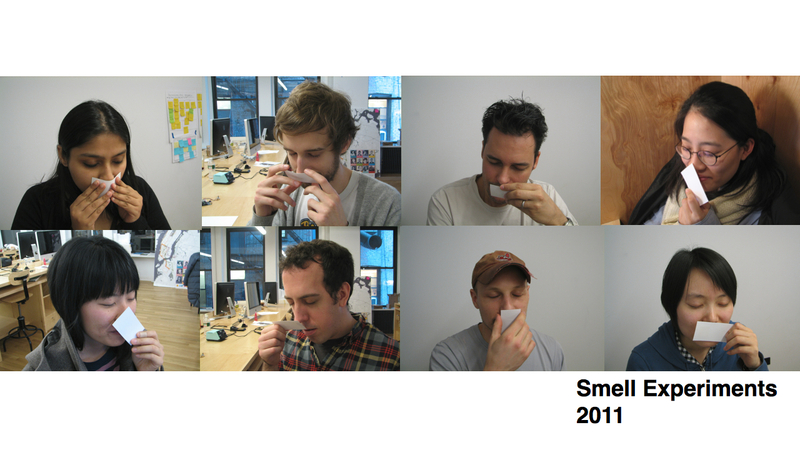 For this exhibition, there is a little wall of smells with twelve different smells on it, which you can sniff. 3. 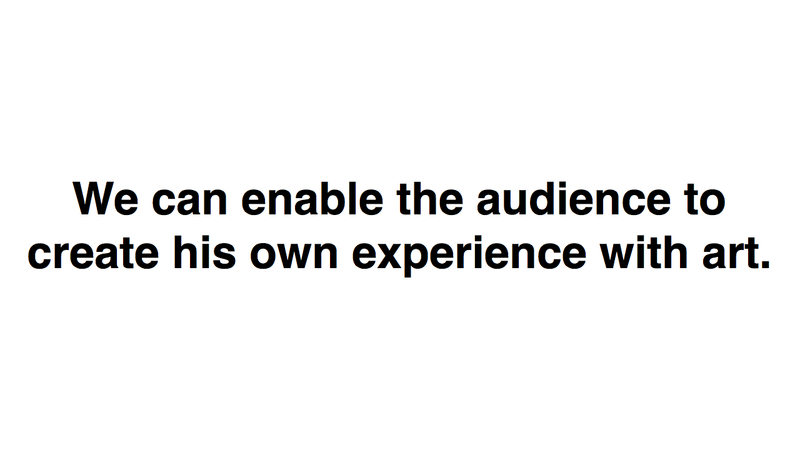 We can enable the audience to create his own experience with art. 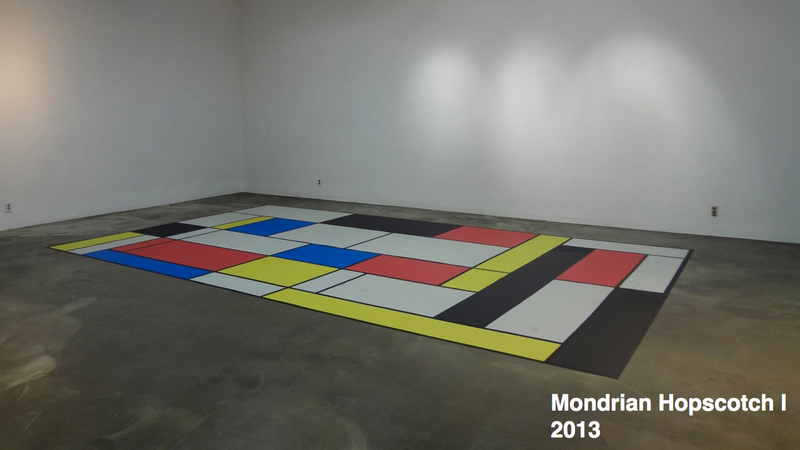 During my residency in Changdong, one question I wanted to explore was, Can you play with art? 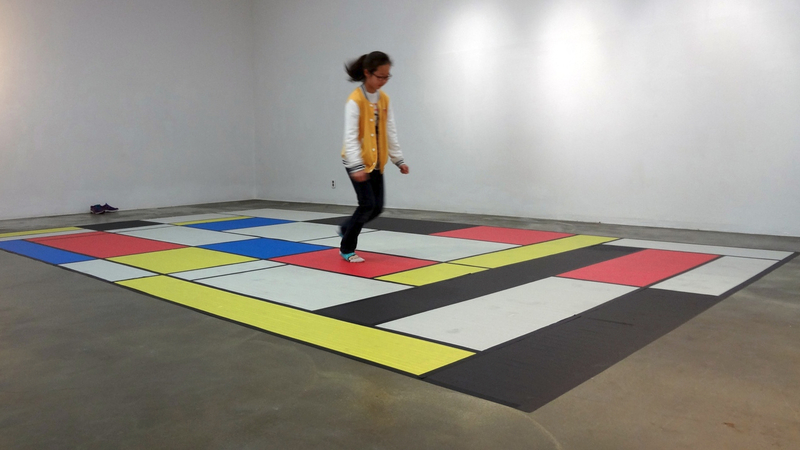 So I created this hopscotch board in the style of Piet Mondrian, whose aesthetic is well-known and almost lends itself to the framework of a hopscotch board. 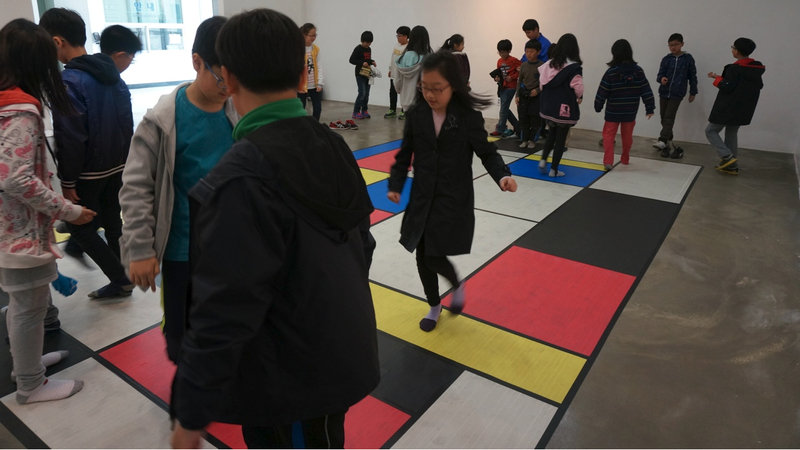 I believe that my primary audience is children, so I invited some elementary schoolkids near the studio to play with the art. 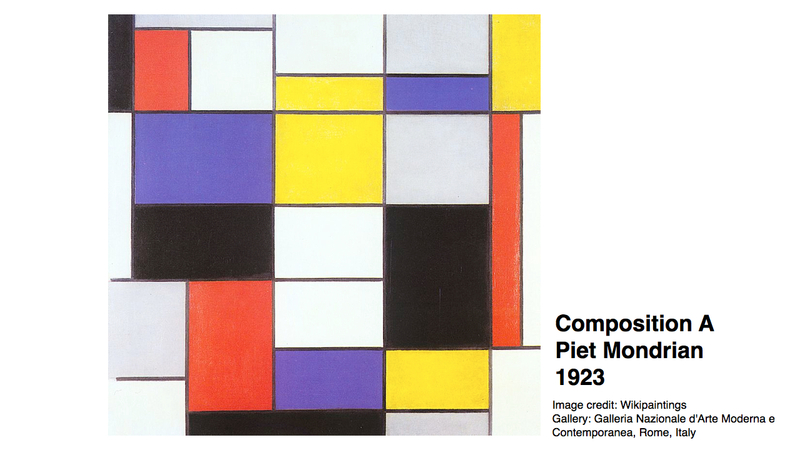 This taught me that sculpture can be played with, and in the course of playing, each person creates his own experience with art. 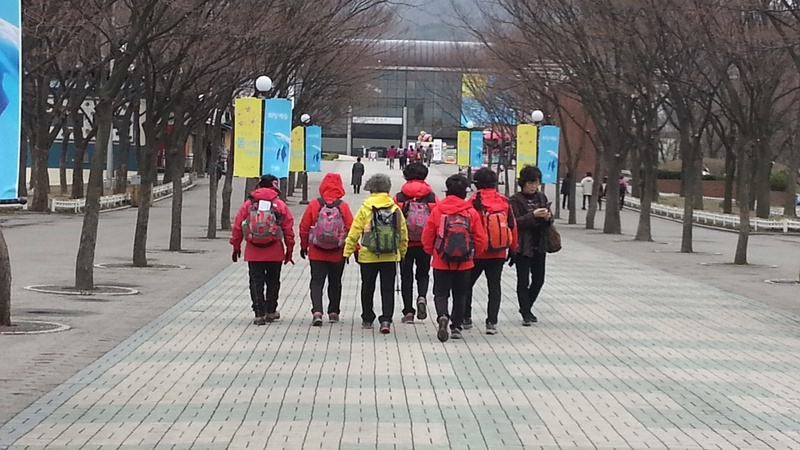 I’m in my fourth month of my residency here in Korea, and among the many things that fascinate me is this. 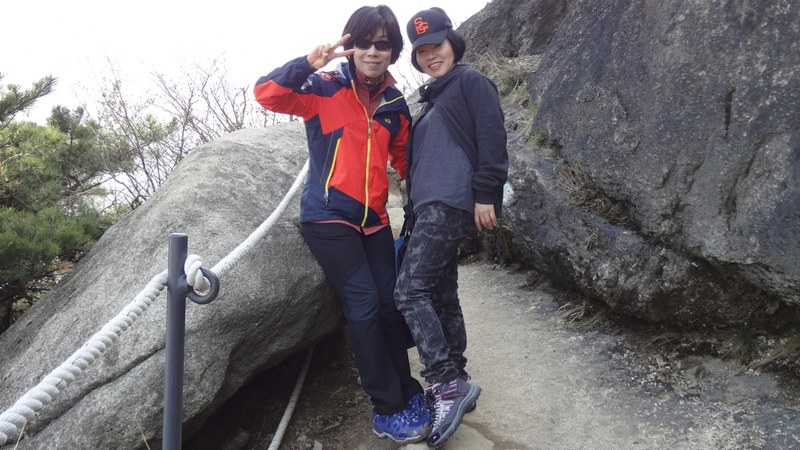 The hiking culture in Korea is truly mind-blowing to me, and has led me to investigate the people doing it—mostly your elderly, the economics behind it—the fashion industry from high end places such as the North Face to the cheaper ones like those in Dongdaemun markets, to the exercise machines I see. 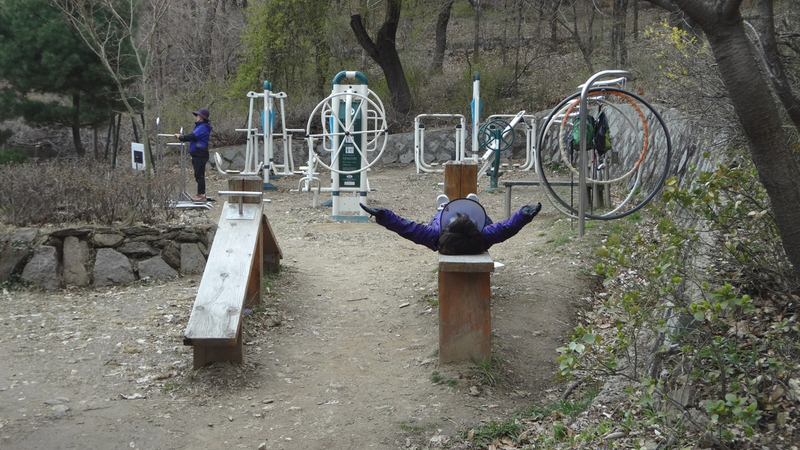 Midway through my residency, I learned that there are 37 mountains in Seoul, and I decided to hike all of them. 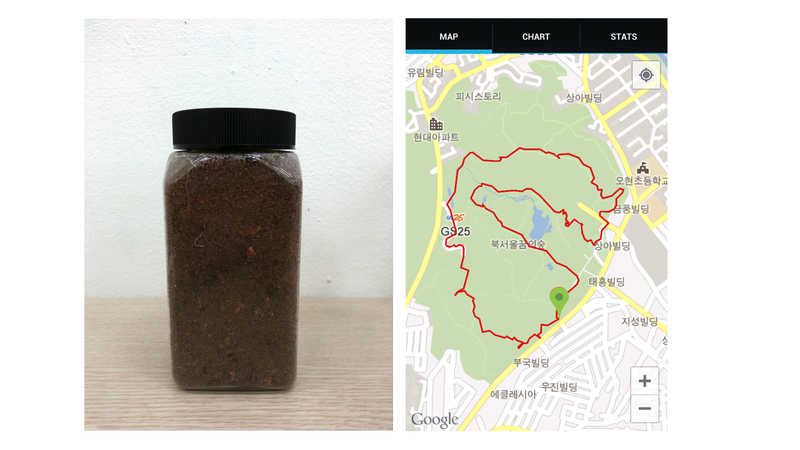 During each hike, I borrow a small jar of soil and track my hike with a smartphone app. The goal here is to hike all 37, take soil, and for the next time I exhibit this piece, get the audience to plant using any mixture of soil from all these mountains. After the exhibition, I hope to get 37 volunteers to plant these flora back to all the mountains, thereby returning the soil to where it came from. I’m interested in the idea of the earth giving me material, and instigating this human intervention that does something positive to a community and also to the earth. 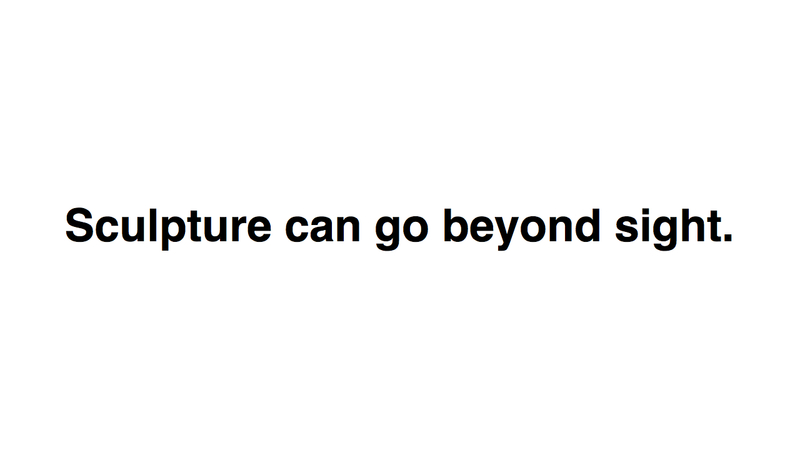 I’m also interested in doing a big project that is ephemeral. 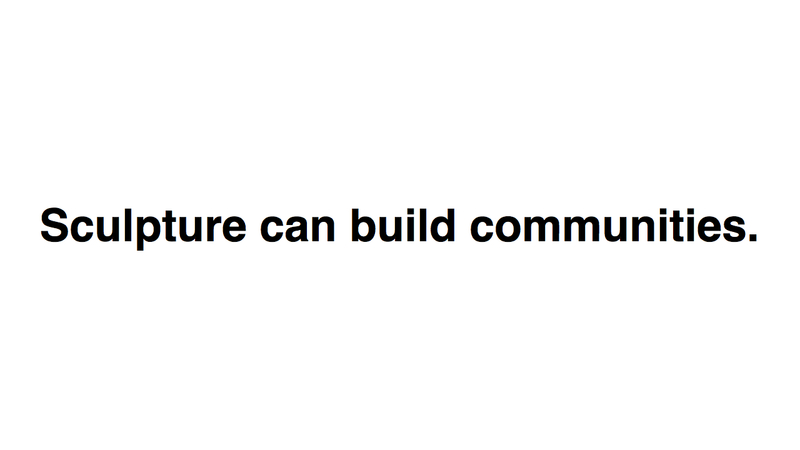 From this project, I see potential in sculpture that can help build communities, with consequences even after the exhibition.